Delaney Window Fashions LLC, is an award winning custom drapery workroom specializing in custom window treatments, bedding, pillows, cushions and other soft furnishings for interiors designers and private clients. We also offer made to measure blinds and a variety of solar shades that give our customers the ultimate control of light and shading. We are an Authorized Tableaux Dealer for residential applications. Sigita Nusbaum, the owner, holds a graduate degree in clothing design and technology. Her passion for fabric and sewing began in late childhood while growing up in Europe. That passion never left her, and she began her career by working for a European clothing manufacturing company. Before opening her own business, Sigita gained practical experience working for several local workrooms. Her creative nature, attention to detail, and ability to understand the technical aspects of design and fabrication leads to the creation of unique, custom, high-quality products. 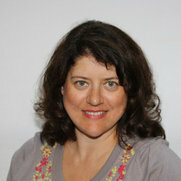 She is a current member of Window Coverings Association of America (WCAA). 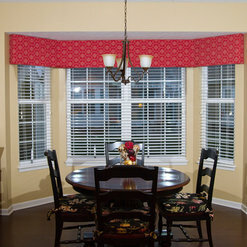 Please call us at 317-567-7672 and we’ll be happy to work with you on your new custom window treatments! Sigita just finished installing custom blinds and window treatments for my home. I love her ideas about design and fabrics and is so easy to work with. 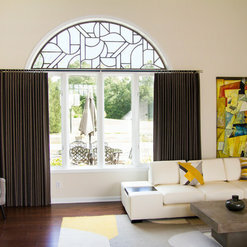 On her recommendation of using Tableauxs lined with sheer fabric to cover glass block windows made the windows appear to be just artwork and the look is elegant. She is knowledgeable about fabrics, designs and the work quality is unlike any you may have seen in the past. My house looks like a magazine article. I met Sigita at the International Window Fashion Expo last year in Tampa. 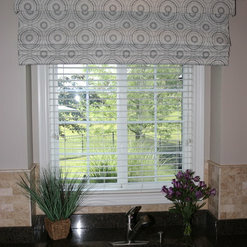 Recently my company and Delaney Window Fashions completed our first window treatment project together. The experience to work together was great. She is very professional and creative designer and fabricator. Her professional standards is very high and I really value that in our professions. I look forward to our next project! 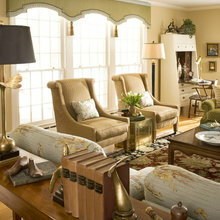 Delaney Windows has done impeccable work on my three projects. I'll never use anyone else! Totally dedicated to quality and, she has great ideas. Highly recommend! I hired Delaney Window Fashions and could not be more pleased! From the start Sigita was professional yet personal to my every need. Sigita went above and beyond to ensure the end result was exactly as I had hoped for. 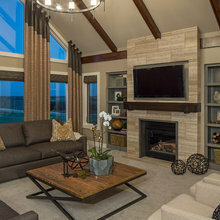 My family room even made it in to a contest! 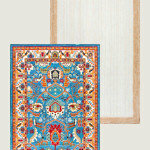 Sigita was very helpful and professional in her approach to making our window treatment. She listened to our wants and needs, but still tactfully guided us to better fabric and drapery style choices. She was delightful to work with and we love our draperies. Her talent for combining attention to detail, her desire to make a beautiful and functional product, and her willingness to work within your budget were very much appreciated. 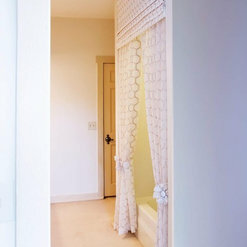 Our draperies fully meet our needs functionally and also are absolutely beautiful to look at. Thanks Sigita! Very creative and efficient. 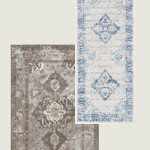 She has amazing ideas to compliment all styles of furnishings. I was impressed by her outstanding workmanship. She kept within my budget, work was completed on time, and the installers she used were very professional. 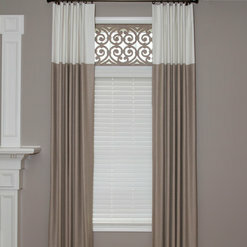 I have had many compliments on the window treatments Delaney Window Fashions designed. One beautiful valance was over 21' long. I highly recommend Delaney Window Fashions. Sigita designed and made soft valences for my living room bay window - not an easy task! She matched the fabric lines perfectly and they look fantastic! 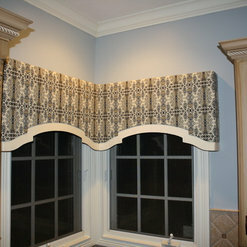 She did such a wonderful job that I had her make matching valences for my kitchen as well. 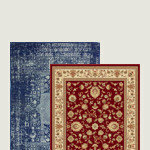 Sigita was a joy to work with - she is a true professional, has great design ideas, and produces very high quality work. I definitely recommend her services. 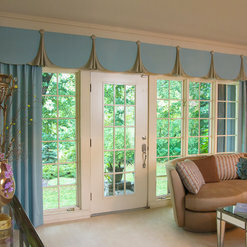 Very knowledgeable about fabrics and design for window treatments. Attention to details is incredible. She did an amazing job and we are so happy with the project. Happy that we hired her and would recommend her to others. Sigita provides fabulous & exceptional service! She has a very keen eye at design and style. She created beautiful draperies for my two story family room and added beadwork to compliment the decor as well as add real pop to the window covering. In my adjacent kitchen she created gorgeous cornices for my three windows. Her creativity really came to life here adding leather and some metal work. 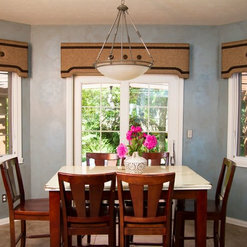 The styles of the two window coverings are completely different but work so well together. Sigita is a perfectionist who does fantastic work. I would highly recommend her! I have hired Delaney Window Fashions on several occasions. Sigita (owner of Delany Window Fashions) first transformed my daughter's bedroom from a baby's room to a little girl's room. The room was not without challenges. I asked Sigita to design and construct a tiki hut, bedding and pillows (with a limited amount of discontinued fabric), a tulle tent, headboard, and an end table to match the existing Hawaiian-themed bedroom. I found Sigita to be amazingly creative, and the final product to be nothing short of perfection! Throughout the process, she continued to think of extra little things that she could do to improve the room. I cannot say enough about how much my whole family loves the final product! My daughter loves to read a bed time story under her tiki hut and then drift off to sleep. After my daughter's room was completed, Sigita created a cornice for our office/den. This was also a challenge, as the cornice had to tie in with white, built-in shelves, a black desk, and an orange faux leather chair. She found great fabric, but took the project up a notch by adding a band of leather and decorative hardware that matched the chair. This worked perfectly for my husband's office. 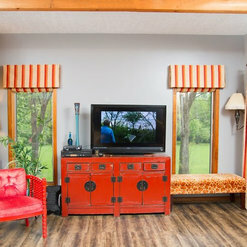 I never tire of the custom look she created for this room. It is beautiful! Next I further challenged Sigita by asking her to create a cornice from an existing topper that I had in my dining room. I was unhappy with what I had in the room, but loved the fabric. One of the requirements of the project was that she create a cornice that had some curvature to it. She dismantled the previous window treatment and reused the material and created exactly what I wanted. 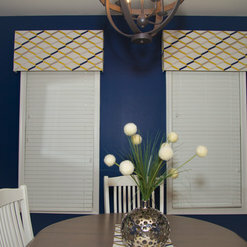 Sigita and Delaney Window Fashions are my go-to vendor when I want any sort of window treatment. I can't wait to see what other custom projects she can create for my home! Her work made my house interesting and modern. I think the highest compliment I can pay Sigita is to share that when we have visitors to my home, they always have comment on the work she's done in my house. It's just that unique and custom! Thank you Sigita! 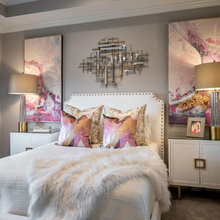 Commented: what are the orange and pink wall colors, please?I don't know, since walls were already painted when the client asked to design the bedding and canopy. 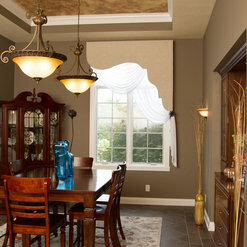 The client sold the house, and new homeowners most likely painted that room in different color. Commented: What color are the walls?The walls were already painted when I designed the bedding. Commented: Beautiful work. 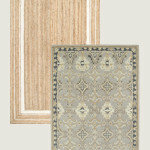 Do you use skirtex or chip board for your soft corniceThank you. I used skirtex.